In a recent article published on the Health Law Blog, one author stressed the important of formal agreements between hospice communities and nursing homes, stating that these agreements must be carefully scrutinized to assure compliance. They state that hospices should have clear policies and procedures regarding the scope of services to be provided to nursing home patients. 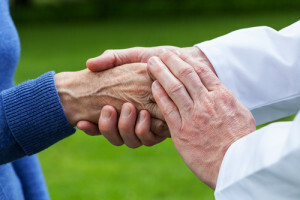 In addition to ensuring an appropriate hospice-nursing home relationship, there are a broad range of additional legal issues with end-of-life care that should be actively addressed when it comes to hospice liability. According to resources from the End of Life/ Palliative Education Resource Center (EPERC) located in the Medical College of Wisconsin, hospice communities should ensure that they have an appropriate decision making and communication disclosure agreement. This should involve revealing information about illness, treatments and prognosis to all relevant parties, being open and honest in all communications, and not withholding information as doing so robs patients and families of growth opportunities and informed choices. By not following these procedures, your client could be opening themselves up to a serious hospice liability legal claim. The EPERC recommends the following four principals of medical ethics that all hospice communities should abide by to reduce and potentially prevent hospice liability legal claims. Always act in the best interests of the patient. Recognize the patient’s right to make decisions about treatment according to beliefs, culture, personal values and life plan. Avoid doing harm to the patient; either physical or mental. Always respect the integrity of patients. Fairly allocate resources when serving patients and their families. By taking great care in addressing these issues, it may be possible for your clients to reduce their hospice liability risks. At Care Providers Hospice Community, we understand that the home healthcare and hospice industry is among the fastest-growing industries in our country. In order to support its continued success, Care Providers offers a broad insurance program exclusively designed to address the unique risks associated with hospice care. Please contact us today at (855) 790-7379 to learn more about our coverages.